As a pharmaceutical consultant, PDG understands that today’s drug manufacturers rely upon reformulation to prolong product lifecycles, protect against generic competition, supplement dwindling pipelines and otherwise differentiate/repurpose existing drug products. Indeed, novel formulations and drug delivery-based product development strategies have the potential of yielding higher returns on investment than comparable repositioning strategies. 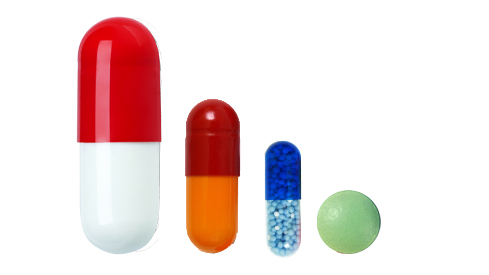 According to a recent report, reformulation of marketed drugs is a trend to watch through the year 2020. PDG knows through first-hand development experience that drug delivery systems like transdermal patches, inhaled and orally disintegrating formulations can increase ROI. Reformulation is a particularly attractive repurposing strategy because improvements in safety, efficacy, bioavailability, patient compliance and convenience are viewed favorably by FDA as well as the marketplace. Illustrating this point is Purdue Pharma, maker of OxyContin. In 1995, FDA approved the original formulation of OxyContin. However, OxyContin was often abused via injection or intranasal introduction (“snorting”), following manipulation intended to defeat its extended-release properties. Such abuse resulted in an increase in the number of serious adverse events, including overdose and death. In 2007, Purdue submitted an NDA for a reformulated version of OxyContin, which was designed to be more difficult to misuse or abuse. While Purdue’s patent on the original formulation expired by the time of the announcement, patent protection on the new formula does not expire until 2025. It should come as no surprise that sales of $2.81 billion in 2012, had only eroded to about $2.4 billion in 2013. Compare this to the standard erosion of 90% normally associated with multiple generic entrants upon patent expiry. In the meantime, Purdue continues development of other pain medications utilizing their abuse resistant technology. Selecting candidates for reformulation can be surprisingly simple. For example, it has been estimated that as many as 40% of adults have difficulty swallowing pills. This is a serious hindrance to compliance to those prescribed lifetime regimens for a chronic conditions. Among glaucoma patients, it is estimated that noncompliance could be as high as 60 percent. The cost to patients of failing to administer their drops is high (progressive vision loss and eventual blindness) and the factors that contribute are surprisingly ordinary. Many may be addressed through reformulation (e.g. sting, difficulty in accurate administration, low drug absorption and fast wash-out), while other factors include forgetting to medicate, cost of prescription refills, and treatment of an asymptomatic disorder. In late 2013, Teva announced a plan to reformulate or repurpose existing drugs with a goal of $3 billion in sales by 2020. Cited, was a planned new injectable version of the generic product, risperidone. Currently offered as a daily oral treatment, patients often fail to take their medication. While there is a long acting injected version (Risperdal Consta), it is a relatively painful injection into the buttock muscle given in a clinic every two weeks. Teva’s planned version will be injected once a month (possibly every three months) under the skin, which will be easier to prepare, less painful and won’t require the patient to undress. There are more sophisticated methods of identifying candidates for reformulation. For example, lack of sufficient bioavailability is a frequently cited reason for failure of compounds in the preclinical stage. There are an abundance of poorly water soluble or poorly permeable pharmaceutical compounds that are ripe for development. Also abundant are emerging drug delivery technologies that can be employed to effectively address such solubility and bioavailability concerns. For example, fast-dissolve formulations are growing across therapeutic areas. Selegeline tablets, first approved in 1996 had to be taken in multiple daily doses. In an effort to improve efficacy and address safety concerns associated with first-pass metabolite formation, Zelapar, a fast dissolve formulation of selegeline was developed. The buccal administration and absorption diminish first-pass metabolism and disintegration in less than 3 seconds affords increased bioavailability and faster onset. Critical to success in reformulation is the employment of strategic planning principles beginning at project conception. The engagement of a pharmaceutical consultant with experience in strategic 505(b)(2) submissions should be addressed at the earliest stages of product development. PDG’s strength is formulation driven and includes traditional oral dosage forms (both immediate and extended release), as well as more complex dosage forms such as inhalers, parenterals and transdermal systems. From identification and choice of viable candidates through ensuring the existence of cost-effective commercialization strategies, PDG is unique in its ability to comprehensively and ideally integrate products, dosage forms, populations and FDA regulatory pathways. Charles Jaap is Vice-President of Operations and Business Development for PDG, a global pharmaceutical consultant with extensive experience in the strategic development of 505(b)(2) drug products. Please feel free to contact us for more information. The opinions and statements in this paper are solely those of Charles Jaap and do not necessarily reflect those of PDG. OxyContin: Purdue Pharma’s painful medicine. Katherin Eban, Fortune Magazine, November 9, 2011. FDA approves abuse-deterrent labeling for reformulated OxyContin. FDA News Release, April 16, 2013. FDA Blocks Generic OxyContin. Pat Anson, National Pain Report, April 16th, 2013. Purdue Pharma Loses OxyContin Patent Trial Against Teva. BloombergBusiness, January 14, 2014. OxyContin Sales Data, Drugs.com, February 2014. Purdue Pharma News and MediaPurdue Pharma L.P. Announces Positive Phase 3 Clinical Trial Results of Once-Daily Hydrocodone Bitartrate Extended-Release Tablets, March 12, 2014. Drug Reformulation: It’s Not Just About Patent Protection. Drug Discovery & Development, Gina Shaw, September 6, 2007. A Recipe for Better Patient Compliance, How different drug formulations and dosing regimens may help ensure that patients take their medicine. Ora. Abelson & Stein 2014. Teva Sees $3 Billion in 2020 Sales of Reformulated Drugs. BloombergNews. Wainer & Serafino, December 2013. Poorly Soluble and Poorly Permeable Drugs valued at $145 billion represent significant reformulation and market opportunities. PR Newswire, Technology Catalysts International, July 11, 2014. Can Pharma Defy Gravity at the Patent Cliff? Pharmaceutical Technology, Adeline Siew, November 2, 2013.